It appears Mozilla has quietly toe-tagged 64-bit builds of its Firefox browser for Windows. In a Google Groups discussion, managing engineer Benjamin Smedberg requested coders halt development on nightly builds of its 64-bit Windows distribution. Mozilla's reasons to end 64-bit flavors of Firefox are numerous: limited plug-in availability, more frequent hang-ups and performance issues, stability problems due in part to a niche user/developer base, difficulty distinguishing between 32-bit and 64-bit bug reports and a general feeling that 64-bit users are second-class. There was a five-day lapse between the question's proposal and the subsequent confirmation which affirmed the demise of Firefox's more futuristic alter ego. During this time, thread participants issued a number of mixed replies both for and against the decision. One user said, "I agree whole-heartedly about switching off Win64 Nightly builds - crash-stats are just the tip of the iceberg. ", linking to this discussion which spells out some of the troubles developers and users have been experiencing with x64 builds. Another user suggested, "How about you fix the problems instead?" -- the assumption being if Mozilla focused on 64-bit development, those supposed issues would no longer be a reason for the organization to eviscerate the project. 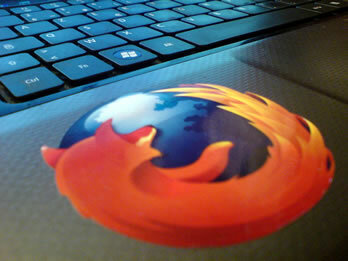 Since Smedberg's proposal specifically called out Firefox builds for Windows, 64-bit development appears to be safe for other platforms, like Linux -- for now. If it were to be canned for Linux users though, a x64 build of Chromium seems like the best alternative for 64-bit purists. It's interesting to note that although Firefox alternatives like Internet Explorer and Opera offer 64-bit browsers, Google Chrome remains exclusively 32-bit for Windows. By virtue of being 32-bit, Firefox is limited to 2GB of memory usage -- one of the benefits to being 64-bit is access to more physical RAM. Unlike Mozilla's browser, Chrome runs each tab as its own process. This trick allows Chrome to gracefully surpass the 2GB limit without having to be 64-bit.